Come to the Roundhouse Community Arts & Recreation Centre in Yaletown Wednesday evenings at 6:30 for a run along the seawall and the bridges at False Creek. We usually run clockwise around False Creek. The long route is 9 km (5.6 miles). The short is 6.1 km (3.8 miles). The long route goes past Science World whereas the short goes across the Cambie Street Bridge. Both routes continue west along the south shore, across the Burrard Street Bridge and back to the Roundhouse. Click here for maps and instructions. If you’re thinking of joining use please let us know in advance so that we can look out for you and ensure that we can match you up with another runner. Meet us inside the centre by the sofas. Visitors welcome. The Roundhouse has locker rooms with showers. Bring a lock for your things. The run takes about 40 minutes. Join us for dinner afterwards. The Roundhouse is at the corner of Davie Street and Pacific Boulevard. 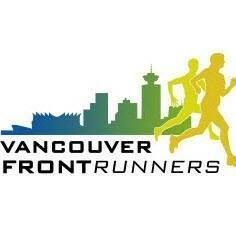 We run on Saturday mornings at 9:00 rain or shine in Stanley Park, starting and ending at Brockton Oval. The gathering is free of charge and we welcome visitors. We run 2 main routes – 6km or 8km – which follow the Stanley Park trails. Runners on both routes run at various speeds covering a range of abilities – most people finish in about 40 minutes and then everyone is welcome to join us for brunch at a local restaurant. If you are thinking of joining us for the first time please let us know in advance so that we can ensure that we look out for you on the day and arrange an appropriate person or group to run with – we can plan a shorter route if 6km is too far. We welcome runners of all abilities from beginner through to raced-honed professional. Don’t forget you also have the option of joining our walking group first. We meet just outside the Brockton Oval clubhouse—not the Brockton Cricket Pavilion. Look for a group of 20 to 30 (good looking!) runners and walkers milling about the main entrance to Brockton Oval at 8:55am. We usually have a few announcements before we split into groups for the run and walk. Brockton Oval has a running track, washrooms and change rooms with showers. Brockton Oval has lockers and showers in the change rooms. The change rooms are locked, but several VFR members have card keys if you should need access. Bring your own lock. If you forget, you can usually leave your things in the trunk of a member’s car. Public washrooms are accessible without a card key. If you like to get your own card key you can purchase them from the West End Community Centre, outside Stanley Park. For more information, contact the community centre at 604 257 8333. The long route is 7.9 km (4.9 miles). The short route is 6.5 km (4 miles). Both have gradual hills and flats, except for a rather steep but short approach to the pedestrian overpass on Lake Trail. The short route has a bonus hill! The surface in the forest is fine gravel. The seawall is paved with black top. You don’t need to know the route ahead of time – but it’s important to let someone know that you are not familiar with the route so that there is always someone with you. Apart from the water fountain at Brockton Oval, the only other fountain along either route is across from the water park along the seawall towards the end of the run. Brunch is the best part! We meet at 10:30 at a local restaurant. We’re usually all done by noon.